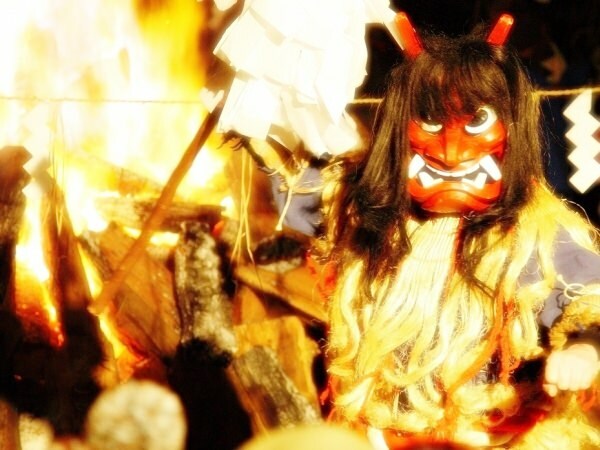 Namahage is a traditional social custom found in Oga Peninsula (refer to #291). Originally, it was conducted on and around January 15th, but it is the ritual performed at the end of every year nowadays. 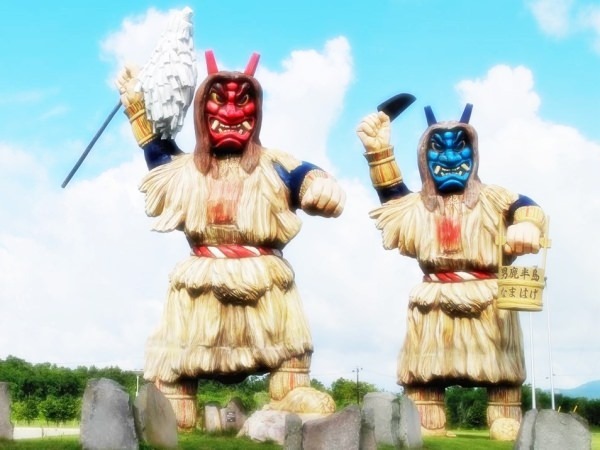 In the Namahage ritual, adults wearing masks of Oni (refer to #090) threaten children by wielding kitchen knives. The aims of the ritual are to admonish naughty kids, to take away misfortune, and to bring blessings. It is on List of Important Intangible Folk Cultural Properties.